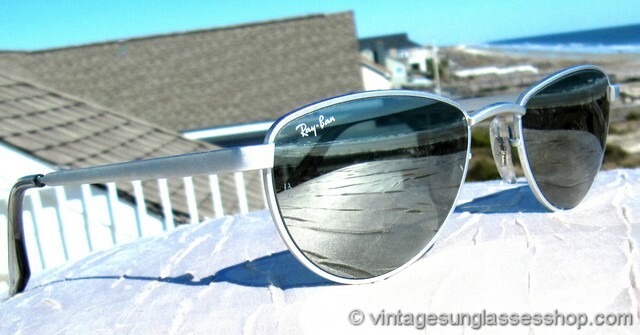 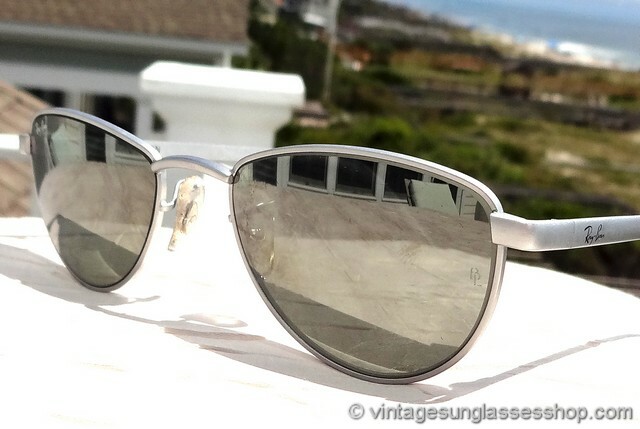 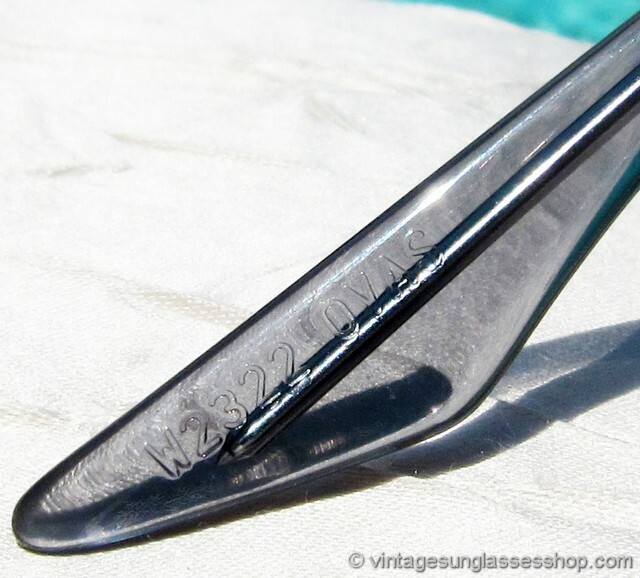 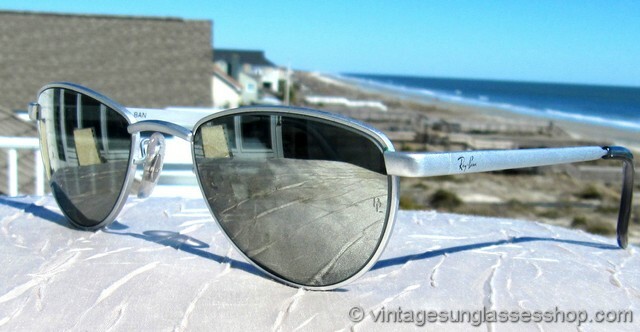 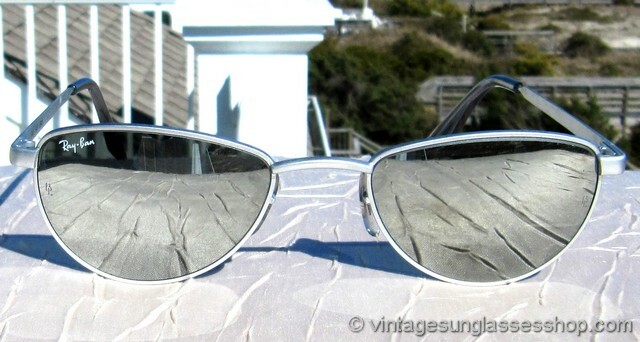 1 Vintage Ray-Ban W2322 Sidestreet Gridlock sunglasses incorporate a matte pewter gunmetal frame and rare Bausch & Lomb silver mirror lenses into one of the most distinctive of all Ray-Ban Sidestreet designs c early 1990s. 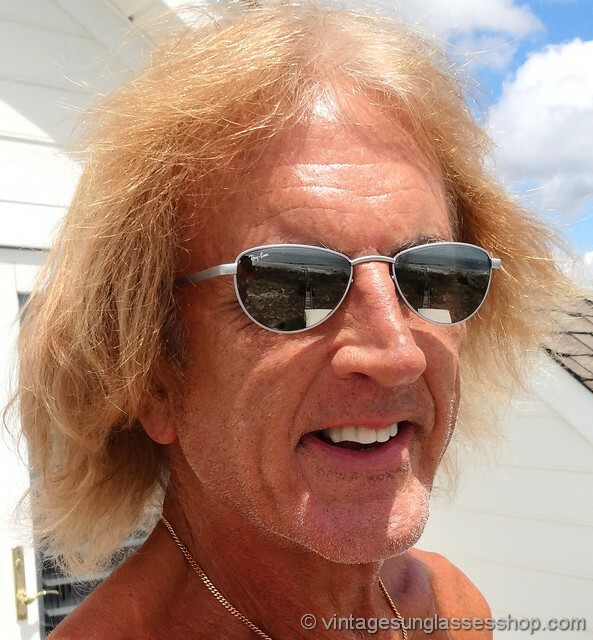 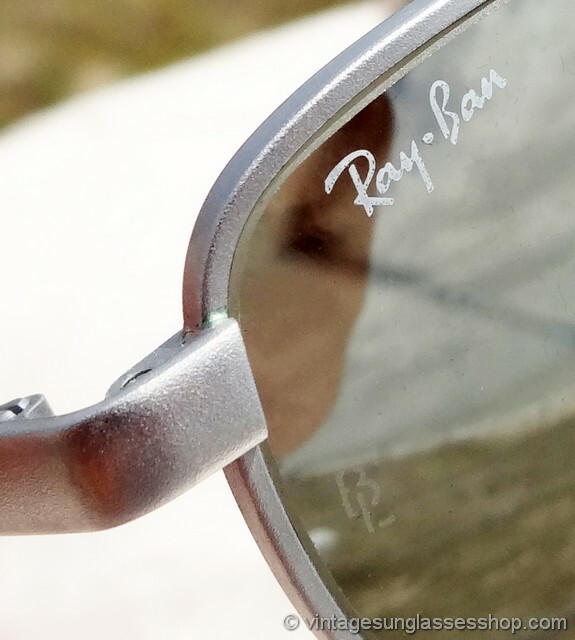 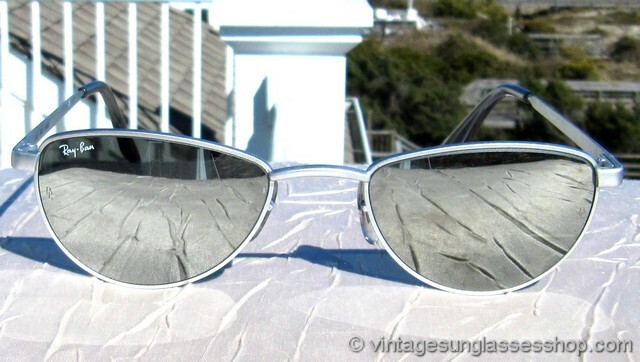 The uniquely shaped lenses have a very modern look, each measuring approximately 1.875" x 1.375" at the widest points; both lenses are laser etched BL near the hinges and the right lens is laser etched with the Ray-Ban logo in italics. 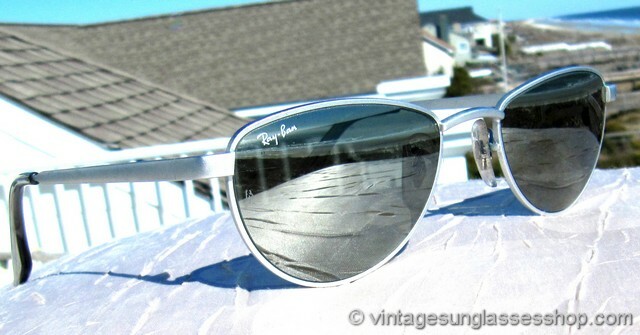 The unisex Ray-Ban W2322 Sidestreet frame measures approximately 5.125" temple to temple, and the exterior of the left ear stem is embossed with the Ray-Ban logo in black - a nice contrast to the gunmetal silver frame. 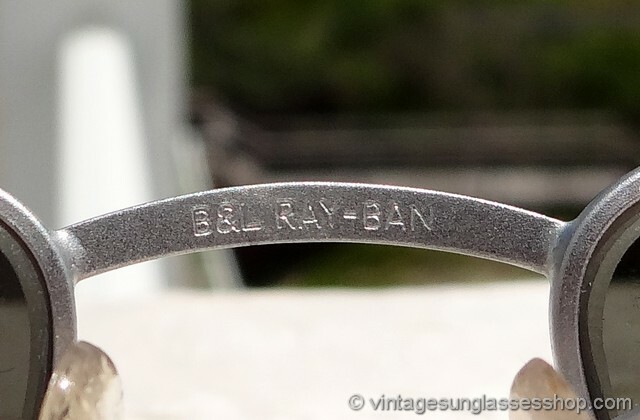 The inside of one ear stem is marked B&L Ray-Ban, the rear of the metal nose bridge is marked B&L Ray-Ban impressed in the metal, and on some production one ear pad is impressed W2322 OVAS. 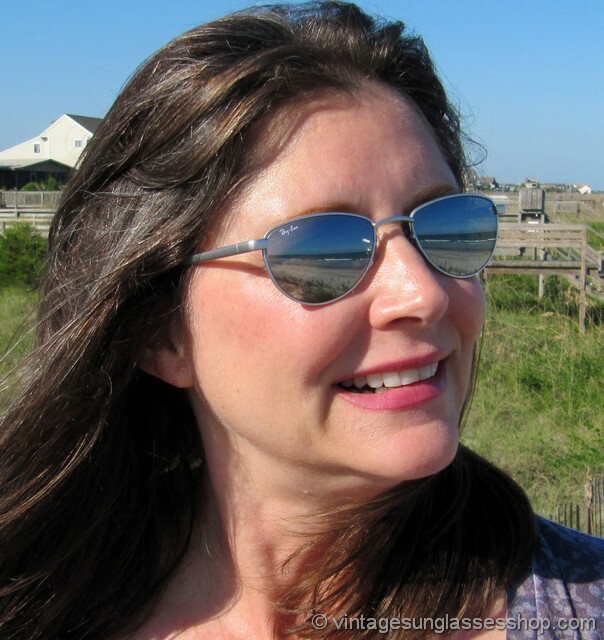 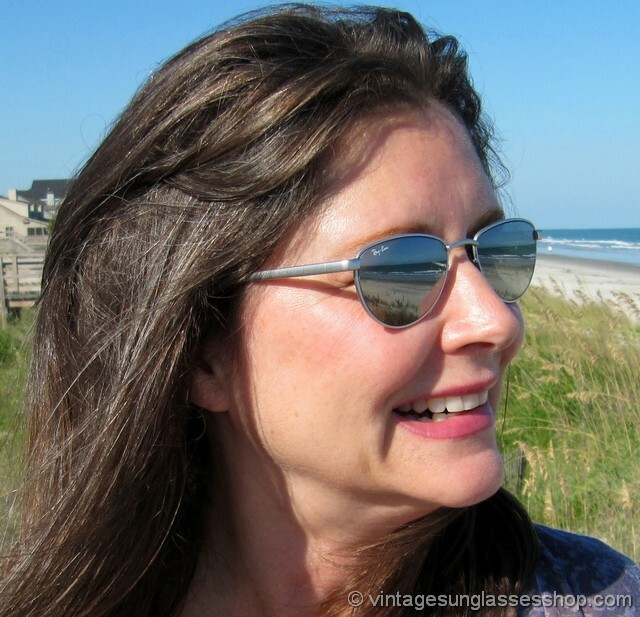 These vintage Ray-Ban W2322 Sidestreet Gridlock sunglasses are sleek and stylish, perfect for both formal and casual occasions and sure to generate questions and compliments. 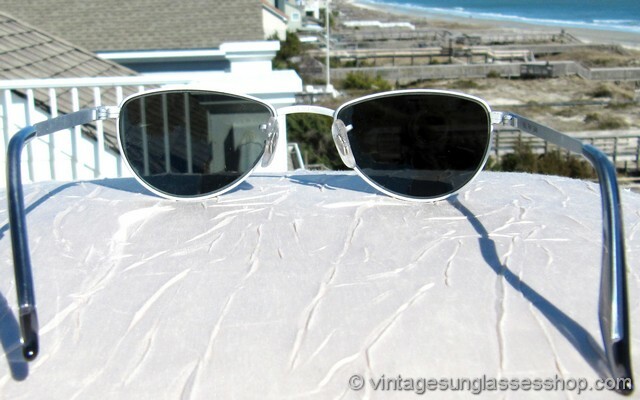 2 Step up another level beyond our already unequaled vintage condition standards with new old stock Ray-Ban W2322 Sidestreet Gridlock sunglasses in mint, unworn condition.